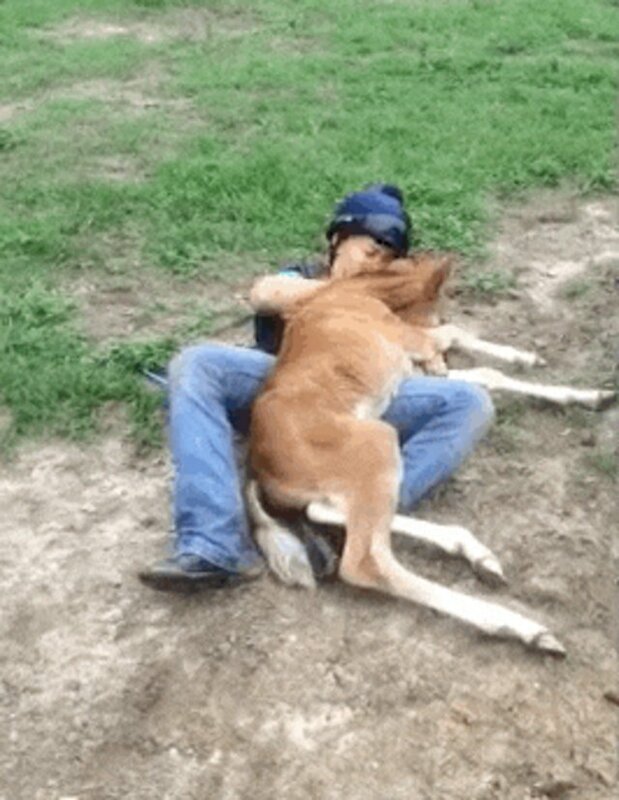 This little foal might just be the cuddliest and most loving horse ever. Equestrian Sunny Bayne posted the video of her interaction with the sweet filly in Summerfield, Florida, last week. 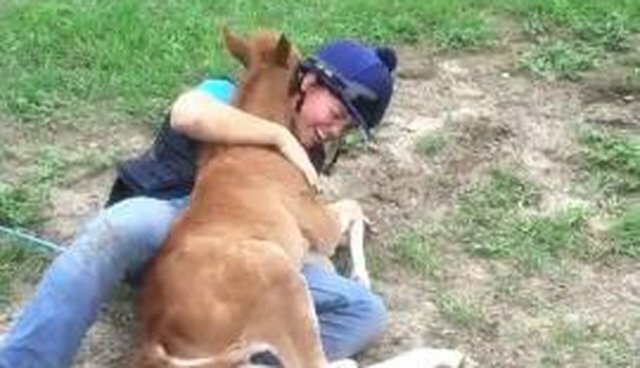 She reaches out to pet the tiny horse - and to her surprise the 7-day-old foal decides to go in for a full-on bear hug. 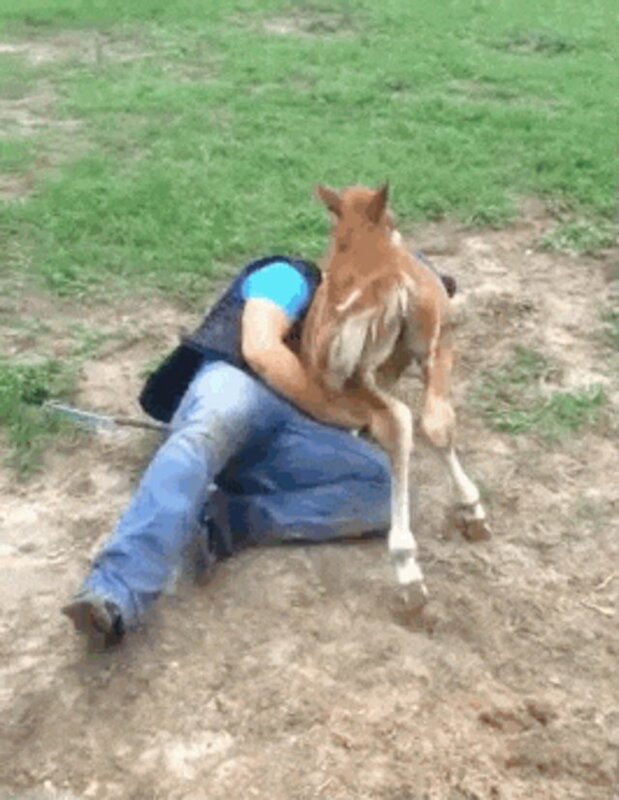 First, the foal pushes Bayne over. Then she collapses on top of her. ... and wags her tail in happiness. 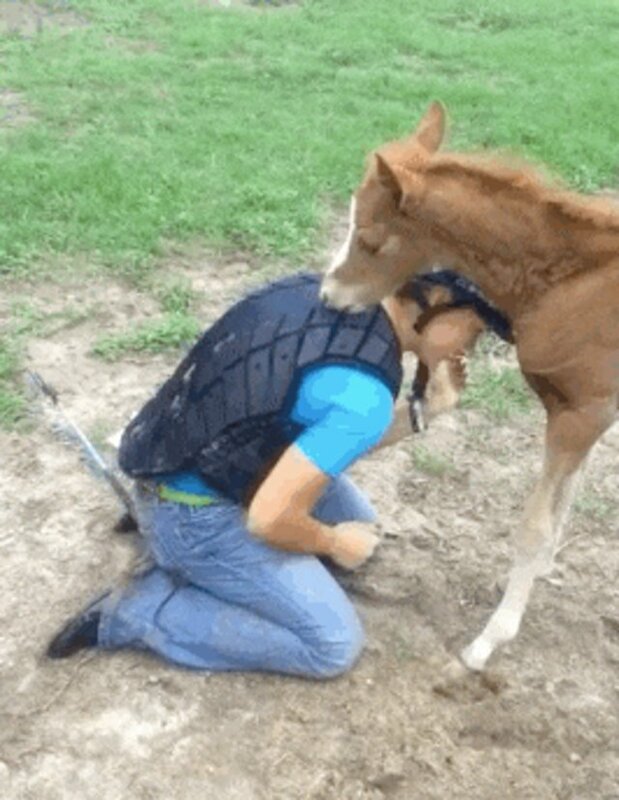 It's clear that the young foal's joy is contagious. 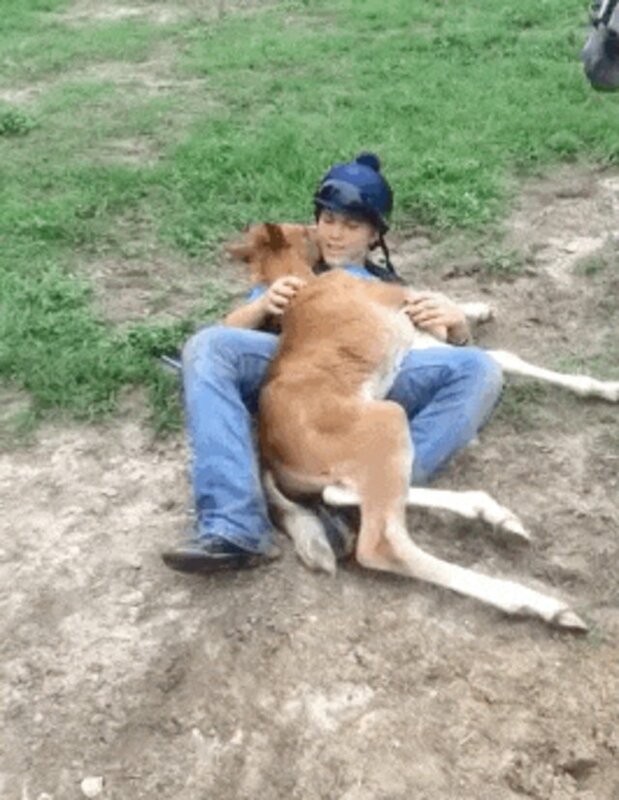 "This is the best day of my life," Bayne says as she hugs the little horse right back. "Every now and again horse people come across a horse that places a mark on their heart," Bayne wrote on her Facebook page. "This one truly touched my heart and soul." "I could feel her love and curiosity," she added. "She is ONE in a million! Heck lets get crazy and say a billion. Love her little pea pickin heart." Of course, it's probably best not to try this with a full-grown horse. But who can say no to a baby?